Surrounded by scenic olive groves and vineyards, Camping Il Poggetto offers luxury camping in the heart of Tuscany. 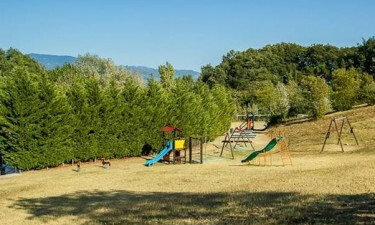 Whether you stay in a mobile home, you will find fabulous facilities that are designed to deliver a comfortable and exclusive camping holiday experience in Chianti region of Italy. 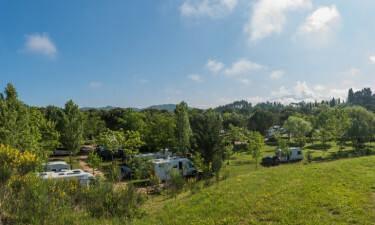 With a blend of history and nature, this luxury camping site near Florence is surrounded by some of Tuscany’s major destinations including Pisa, San Gimignano and Siena. The Mall and its many shops is also a few minutes from this beautiful camping village. Book a memorable stay at Camping Il Poggetto today with LuxCamp! Why Choose Camping Il Poggetto? 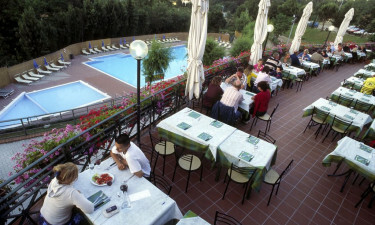 With a gorgeous pool and fine dining, Camping Il Poggetto has the luxurious feel of a resort or hotel. A restaurant serves fine Italian dishes as well as a takeaway service, and you enjoy a drink at the bar throughout the day. There is also a stunning outdoor terrace offering panoramic views. Two swimming pools are in the heart of this holiday camping site, one of which is just for little children. There is a soothing Jacuzzi where you can admire the rolling hills that surround the campground. Regular aquagym classes are organised at the pool. You can also keep fit at a modern gym in the campground. With its own horse ranch, this luxury camping site lets campers experience this picturesque region with horseback riding tours to local wineries and other pretty destinations. 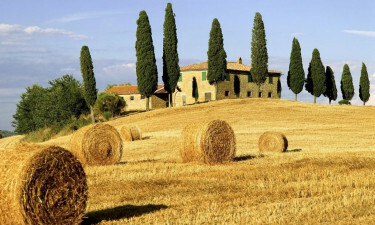 You are also able to rent electric and mountain bikes to explore scenic routes through the countryside of Tuscany.